Grenadine gets a bad rap these days. The stuff you buy from the store is little more than bright red corn syrup. The little bottle of Rose’s Grenadine has a special place in my heart, I remember my mom adding it to orange juice when we were kids to make us feel fancy. But it no longer has a place in my cocktails. This question should probably be “what should grenadine be?” instead of what is it. These days grenadine is more or less colored simple syrup. It tastes sweet and that’s about it. 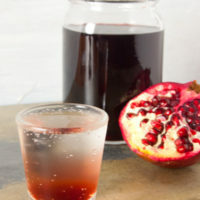 However, Grenadine should be a pomegranate syrup used to flavor drinks and desserts. It also adds a pretty rosy color. It’s popular in mixed drinks due to it’s high density. Even though it’s not a very thick syrup it has a ton of sugar in it and it will sink to the bottom of most drinks if it’s not shaken or stirred in. That makes it easy to get a pretty layered look, even if you don’t know what you’re doing. 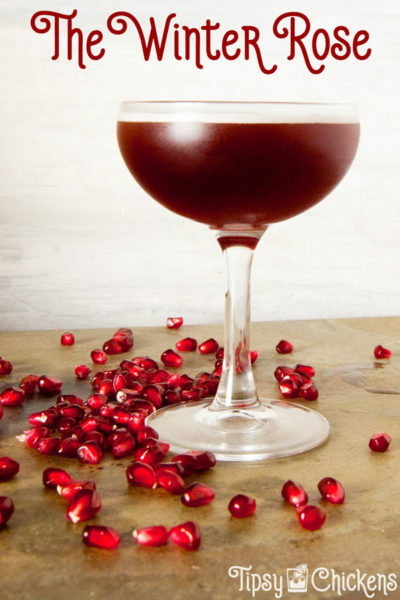 Grenadine is the easiest cocktail ingredient you’ll ever make. It’s honestly easier than juicing a lemon and you don’t need to worry about accidentally shooting acid into your eyes. The most important part is making sure you’re using 100% pomegranate juice. 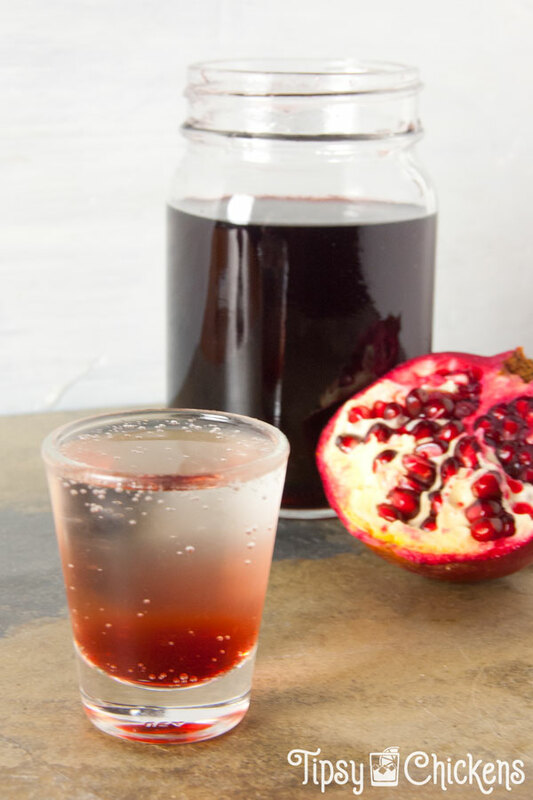 POM is probably the easiest to find, it’s usually in the fresh fruit refrigerator in the grocery store. I ended up buying mine at Aldi’s because I’m always there. It’s in a glass bottle and you might have to dig to find it. It’s in the juice aisle and it’s sold in the same box as black cherry and cranberry juice, if you shop at Aldi’s that sentence will make sense. The only other ingredient you need is white sugar. Which you probably have, right? Pour the juice into a glass jar with a tight lid, mason jars are great for this, and add the sugar. Then put the lid on tight and shake it. And shake it. If you think you’ve shaken it enough set it on the counter to settle for a few minutes. If you see sugar on the bottom when you flip the jar over you need to shake a little more, if not you’re all done! Store it in the fridge and use it up within a month. You can literally make any amount you need, it’s a 1:1 ratio so if you need a 1/2 oz for a Winter Rose you can make a tiny amount. Or if you’re serving up Shirley Temple Cheesecakes for a hundred people you can scale it way up. You can add grenadine to any drink that needs a bit of sweetener. It has a very high density so it’s easy to use for layering. 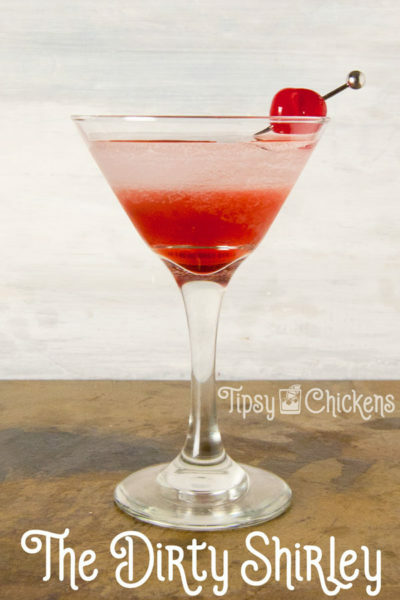 It’s also the star player in the childhood favorite, the Shirley Temple. 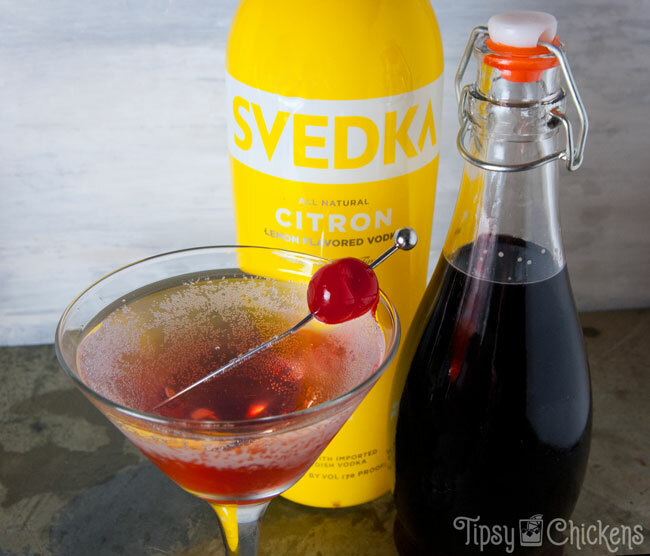 All you need is ginger ale or lemon lime soda, grenadine and a maraschino cherry for garnish. 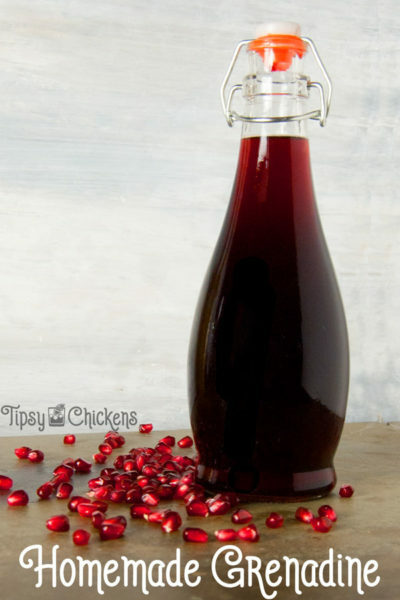 If you decant your homemade syrup into pretty bottles it makes a beautiful hostess or holiday gift that won’t break your budget.